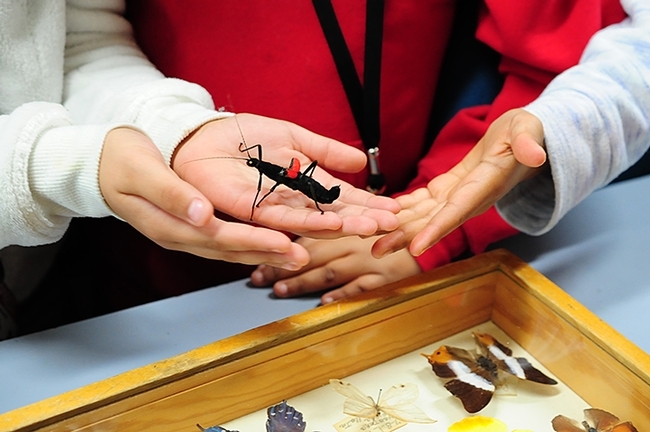 Congratulations to the world's top 10 entomology departments, as listed today (April 3) in the long-awaited Times Higher Education's Center for World University Rankings. 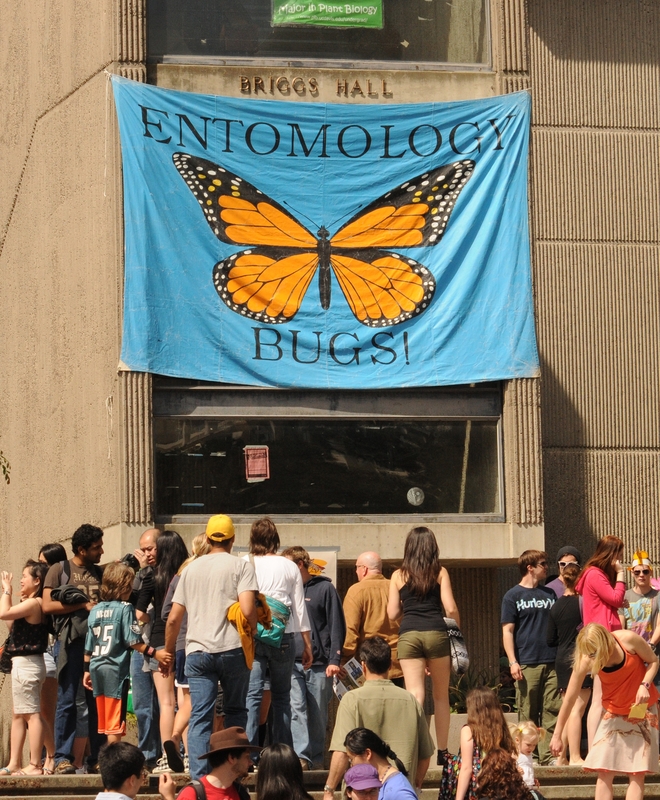 The rankings show the University of Florida's Department of Entomology and Nematology as No. 1. In California, the University of California, Riverside, is ranked No. 2, and UC Davis, No. 7. That's not a national statistic, but a global one. Kudos! The departments were scored in five peformance areas: Teaching (the learning environment); research (volume, income and reputation); citations (research influence); international outlook (staff students and research) and industry outcome (knowledge transfer). View the World University Rankings methodology here. The UC Davis Department of Entomology and Nematology, based in Briggs Hall, is led by chair Steve Nadler and vice chair Joanna Chiu. 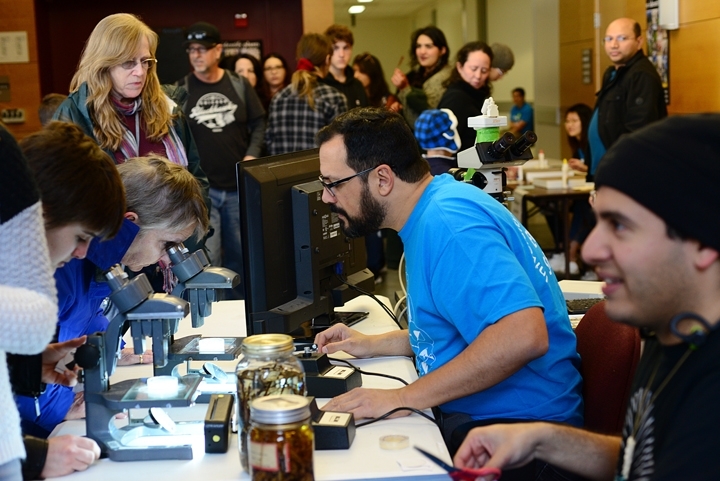 Interested in insect science? 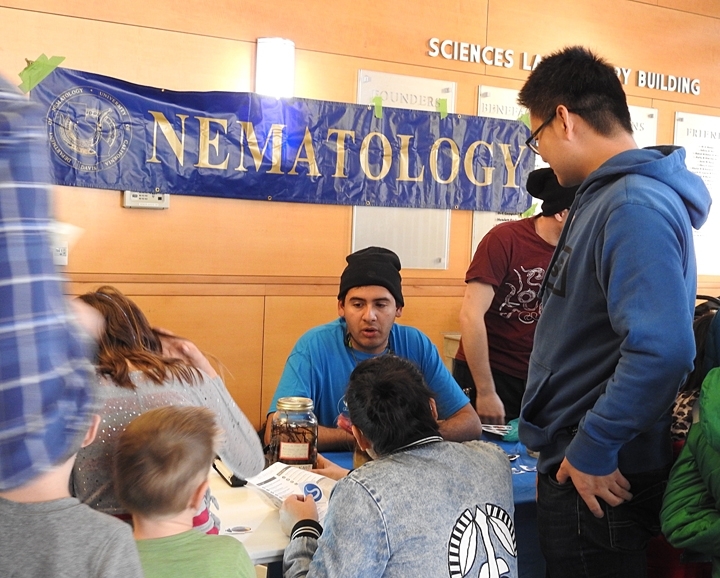 Be sure to visit the UC Davis Department of Entomology and Nematology's displays at the 103rd annual campuswide Picnic Day on Saturday, April 22. 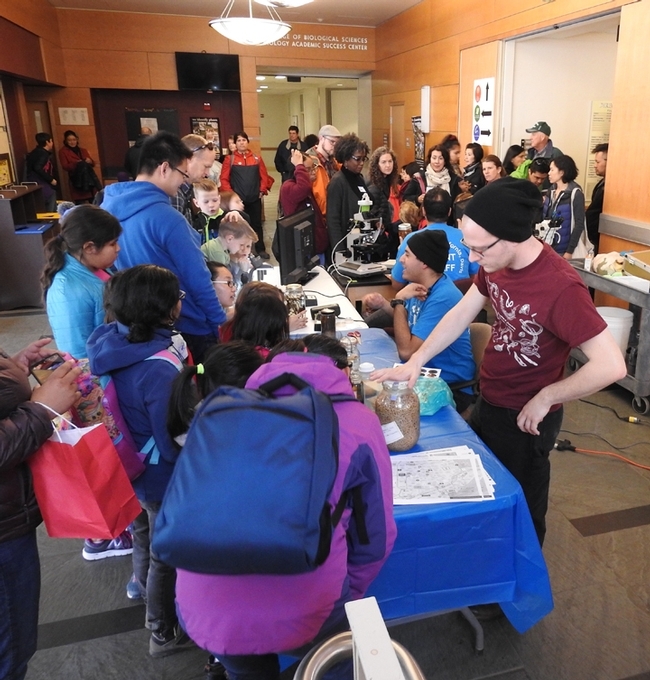 Last year thousands of visitors flocked to Briggs Hall; Bohart Museum of Entomology, home of nearly eight million insect specimens; and the Sciences Laboratory Building (nematology display). Here's what the department did last year. More information pending! 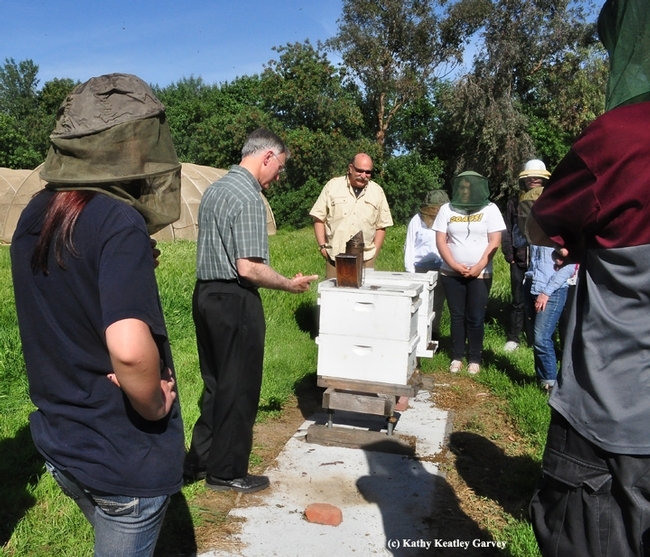 Beekeepers know the varroa mite as "Public Enemy No. 1." And it's an enemy to be reckoned with, Extension apiculturist Eric Mussen told students in the UC Davis "Biology of Parasitism" class, taught by forensic entomologist Robert Kimsey and nematologist Steve Nadler, Department of Entomology and Nematology. Guest-lecturing at a special session held at the Harry H. Laidlaw Jr. Honey Bee Research Facility, UC Davis, Mussen talked about the varroa mite--its history, biology, damage and control methods--and then opened several hives at the apiary. The Varroa destructor, a native of Asia, is now found in hives throughout the world except in Australia. It was first detected in the United States in 1987. 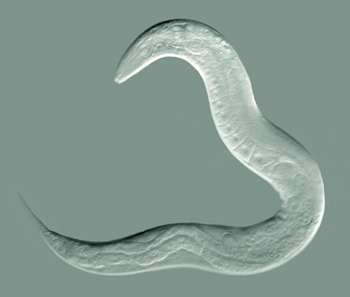 The eight-legged reddish-brown parasite, about 1–1.8 mm long and 1.5–2 mm wide, is a blood sucker that's difficult to control, Mussen said. Mites transmit viruses (there are now some 22 named RNA viruses) that can wipe out a hive. 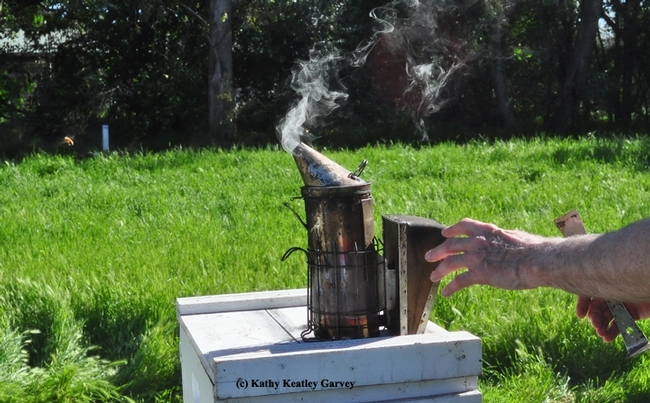 A familiar mite-transmitted disease that beekeepers see is DWV or Deformed Wing Virus. Mites are also known lowering the protein level of a bee's blood, and reducing its weight and life span. Mussen said that mites spread from colony to colony by phoresy (animal-to-animal transport). They ride on flying drones (males) and adult worker bees (females). They also spread changing hosts on flowers. "A mite enters a honey bee cell just before or during the time it is being capped," Mussen said. "It feeds on older larva or prepupa. Sixty hours later, the mite lays its first egg. The egg will hatch in about 24 hours." "The number and release of offspring depend on the length of the pupal stage. 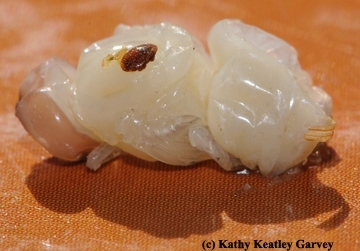 The queen is pupa for 8.5 days (no mites). The worker is pupa for 12.5 days (1.3 mites) and the drone is pupa for 14.7 days (3 or 4 mites)," he said. Thus, due to the longer time required for drone development, drone pupae get the worst of it. "When maturing, the newly emerged mites climb onto adult bees and feed by puncturing the intersegmental membranes and sucking the bee blood," Mussen related. "Often these are nurse bees that stay around the brood nest. Sometimes the hosts are drones and older foragers that are flying from the hive every day. Eventually the new mite climbs off the nurse bee onto a comb in the brood nest and enters a cell. The reproductive cycle starts and within 6 days, 44 percent of the young mites have moved into the brood cells; within 12 days, 69 percent of the mites are in the brood cells; and within 24 days, 90 percent of the mite are in the brood cells." 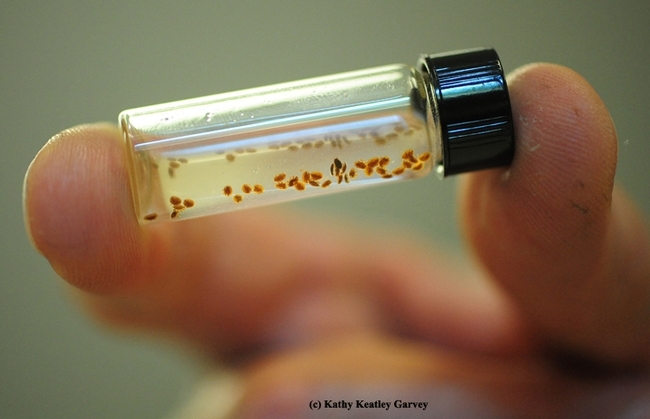 "If there is no brood, the mite has to feed on adult bee blood every six days or so to remain alive," Mussen said. "Mite life expectancy in summer is around 60 days; bees about 42 days. Mite life expectancy in the winter is up to 9 months; bees about six months." Mussen also discussed how to detect mite infestations through non-chemical and chemical methods, and listed chemical treatments being used throughout the nation. Mites are developing resistance to a few chemical treatments, he pointed out. And, some of the chemical treatments not only kill the mites, but damage or kill the queen and the brood. 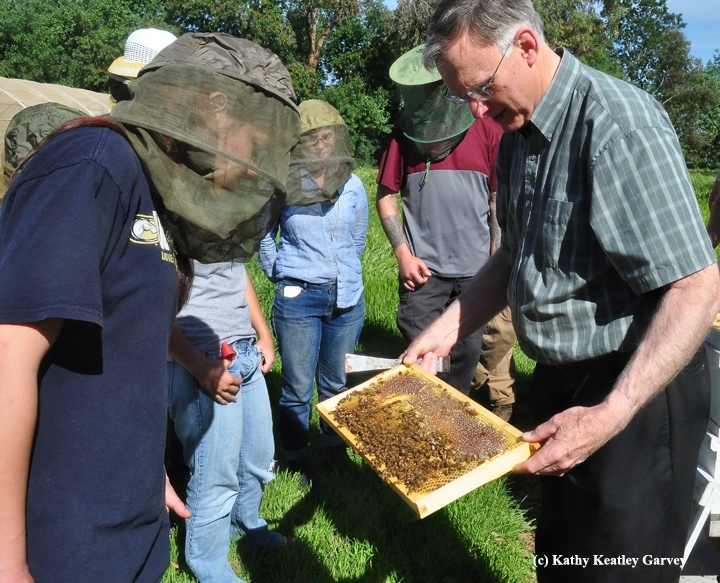 Beekeepers who try to go organic, figuring that "if the bees can't make it on their own--if they're not fit--let them die" are really doing a disservice to neighboring beekeepers, Mussen said. The mite will overrun a colony and then infest other colonies. Public Enemy No. 1--definitely a force to be reckoned with. It's exciting to see a promising career unfold. We first met UC Davis graduate student Alex Van Dam in 2010 when he received a $12,000 award from the University of California Institute for Mexico and the United States (UC MEXUS), an academic research institute dedicated to encouraging, securing, and contributing to binational and Latino research and collaborative academic programs and exchanges. Then later in 2010 he received a Robert and Peggy van den Bosch Memorial Scholarship for his research on a scale insect. His project: "Investigating Host-Associated Lineage Splitting Within Dactylopius Using Molecular Phylogenetics." Now Van Dam has just been selected for a National Science Foundation (NSF) Postdoctoral Fellowship to work on insect/host plant research. The postdoctoral fellowship award is supported by both the Directorate for Biological Sciences and the Office of International Science and Engineering at NSF. During his two-year fellowship, he will work on a project, “New Insights into Insect Host-Plant Generalization: Population Transcriptome Sequencing of Porphyrophora spp.,” under the sponsorship of Uffe H. Mortensen at the Department of Systems Biology, Technical University of Denmark. Van Dam will identify genes responsible for host-plant range in scale insects, and how they are maintained across populations. “This will be accomplished by testing hypotheses delineating physiological genes responsible for insect host-plant generalization,” he said. “Host-plant generalization is the ability to feed on many different species of plants. I will test if increased dispersal of host-plant detoxification genes in generalists leads to maintenance of functional gene paralogs, that is, gene duplications, across large effective populations. 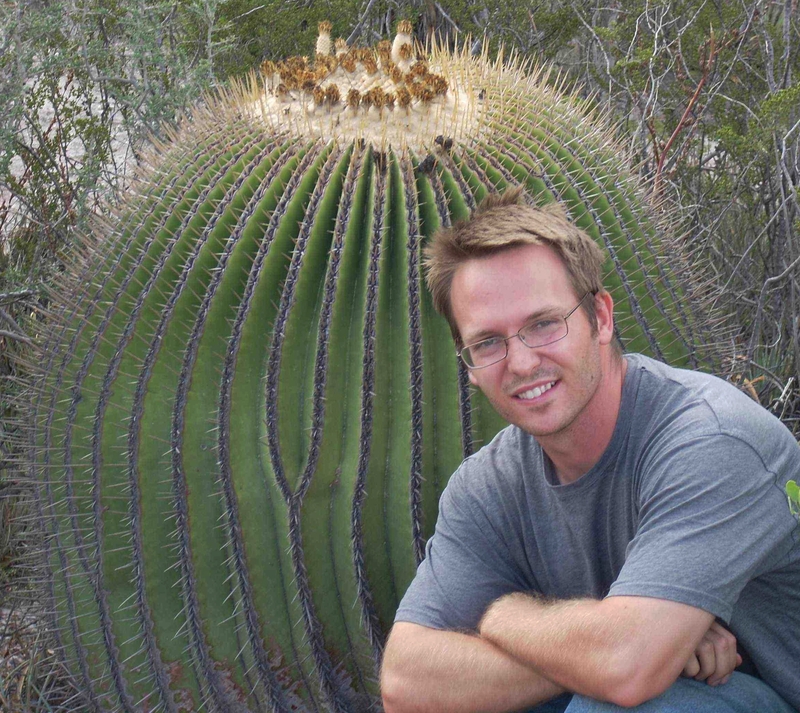 A native of Los Angeles, Van Dam received his bachelor's degree and master's degree in entomology at UC Riverside and is currently a doctoral candidate and a member of the Entomology Graduate Group. He studies with major professor Bernie May in the Department of Animal Science. 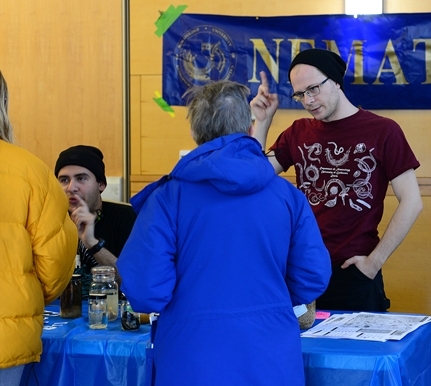 Professors Jay Rosenheim and Steve Nadler of the Department of Entomology are members of his dissertation committee. Meanwhile, Van Dam is gearing up for his exit seminar at the Animal Science Spring Seminar Series. He'll present his seminar on Monday, April 29 from 12:10 to 1 p.m. in Weir Room 2154, Meyer Hall. Alex Van Dam, photographed next to a giant cactus.